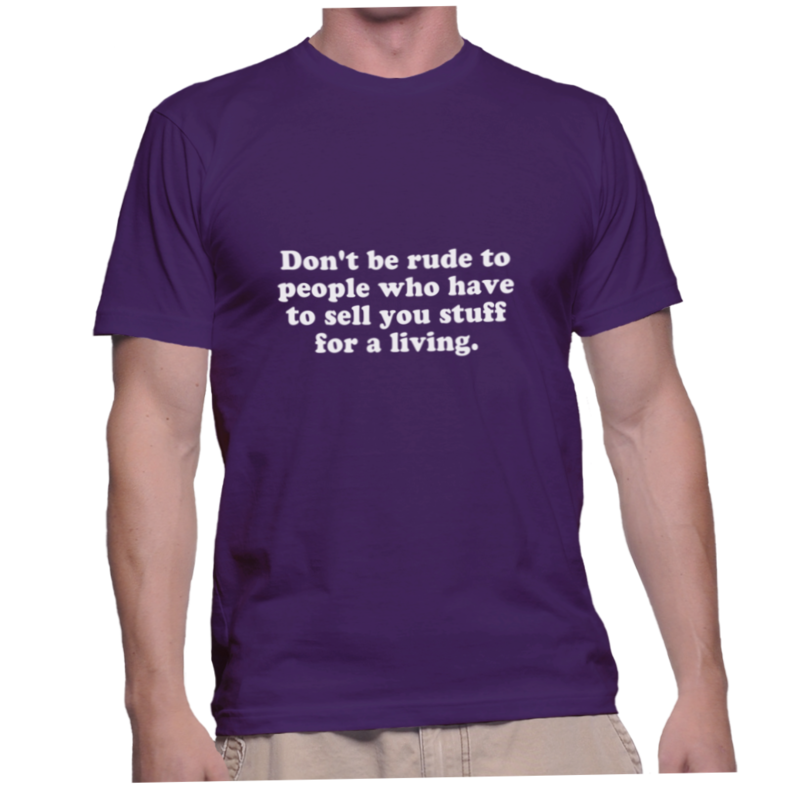 Home / Don’t be rude to people who have to sell you stuff for a living. Don’t be rude to people who have to sell you stuff for a living. Stop saying it. Start wearing it.